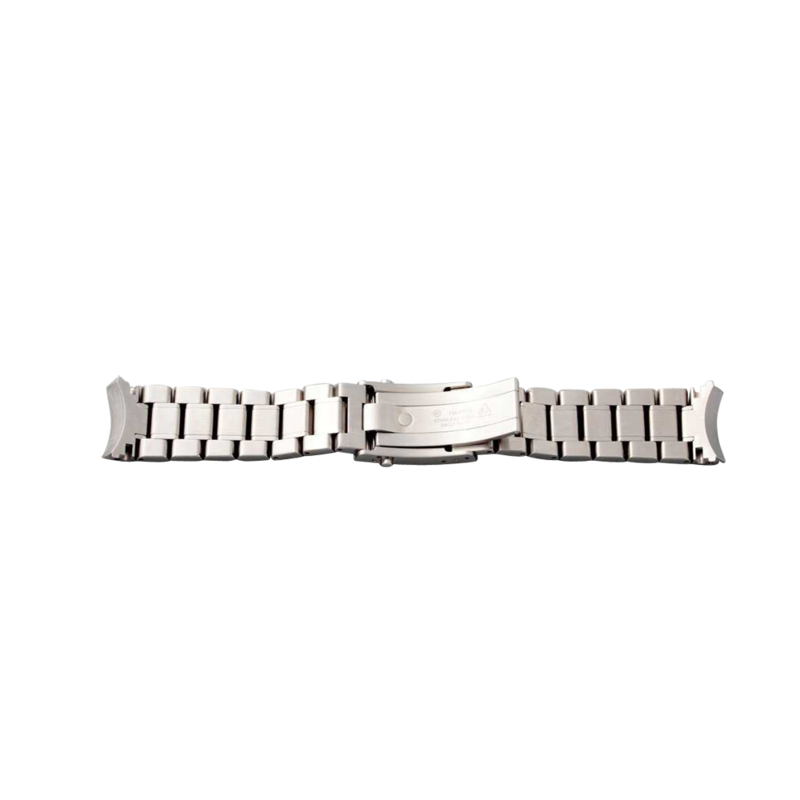 Stainless steel Omega Speedmaster watch bracelet. Swiss made. 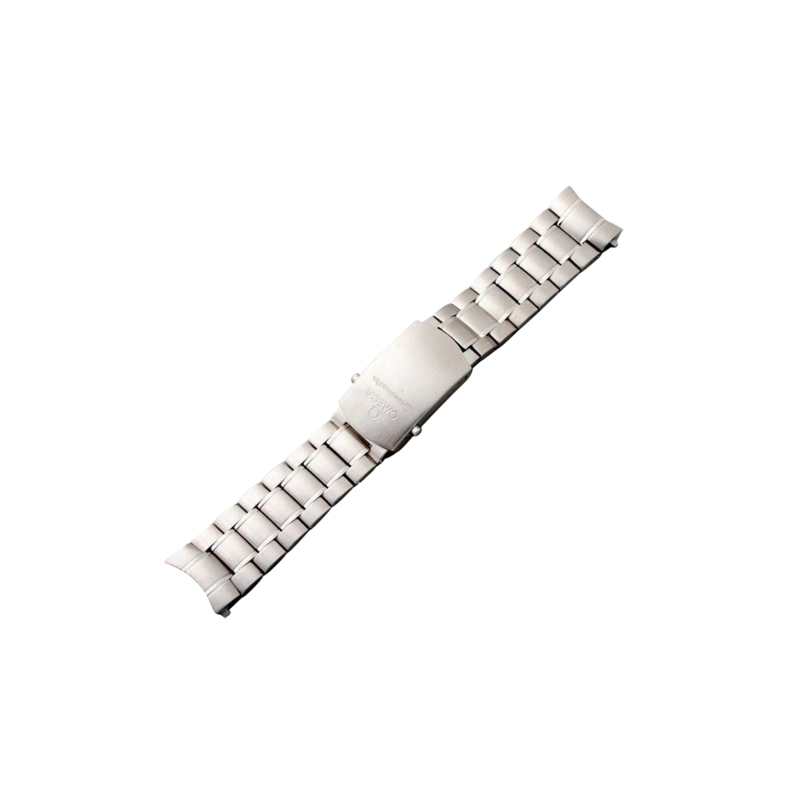 Fits 20mm lug size Omega Speedmaster wristwatches. Approximately 150mm in length. 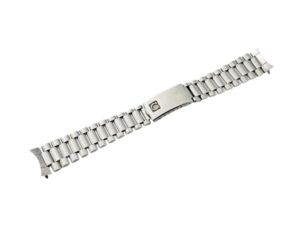 The push button release buckle is stamped Omega 1564/975 and the end pieces are solid. Comes as shown without spring bars. Has superficial scratches due to normal wear and age. Overall condition is very good.